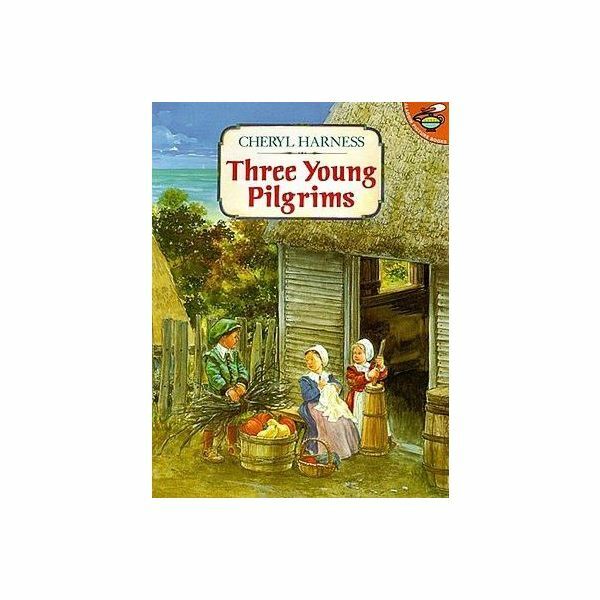 Read the last section of the book, Three Young Pilgrims by, Cheryl Harness. Finish the last section of the book, beginning where the discussion stopped in the previous lesson (when the Pilgrims met Samoset). Discuss the events that happened in the book. Discuss the children's own Thanksgiving plans. Who cooks the turkey? The ham? Where does their family dinner take place? On a piece of construction paper, write the words, "Happy Thanksgiving". Instruct the children to trace over the letters with liquid glue. Cover the glue with popcorn kernels. Display a turkey hunting decoy. Allow children to take turns analyzing and measuring the turkey. How tall is the turkey around different parts of its body? How tall is it when measured from the top of its head (height)? How tall is it when measured from its back (width)? Define the terms, height and width. Instruct children to find other things in the classroom that are the same height, shorter, or taller than the turkey. On a piece of construction paper, instruct children to create a Thanksgiving Day menu. Children should decorate the menu. On a chart, make a list of the favorite dishes that children have included on their menus. Allow children to explain how certain dishes are prepared. Inquire if anyone's family eats something other than turkey.